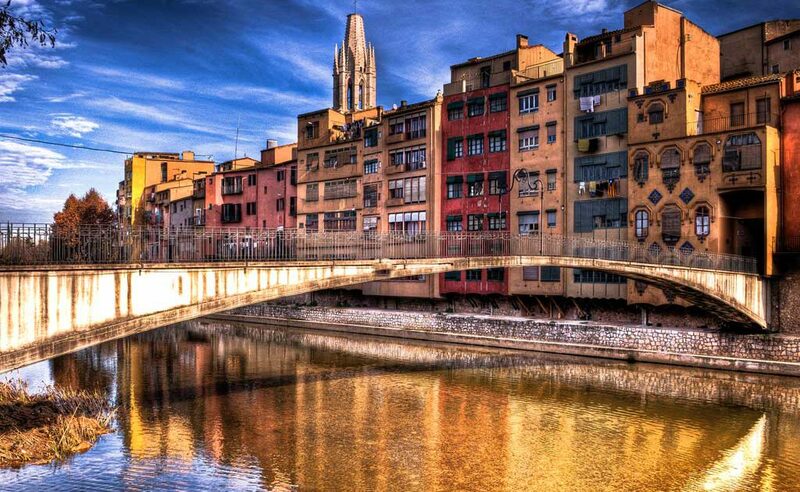 Girona is a small charming city located 100 km north of Barcelona and 100 km south of Perpignan (France). It is one of the wealthiest cities in Spain. Girona has its own International Airport offering regular flights to more than 50 cities around Europe. Girona is a stop on the high-speed train that link Barcelona and Paris. 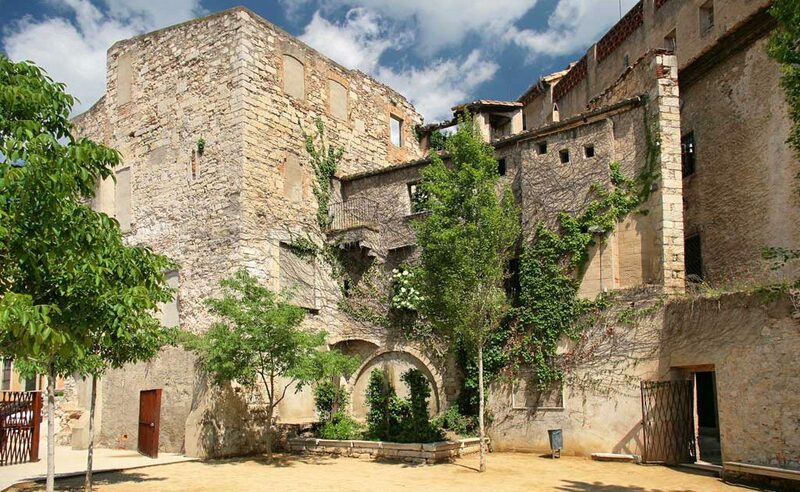 Girona has one of the most important mediaeval quarters in Spain, plenty of interesting historical buildings, one of the best-preserved old Jewish quarters in Europe and a magnificent cathedral featuring the widest Gothic nave in the world with a breadth of 22 metres. The city also offers a vibrant shopping district with a combination of traditional goods and renowned international brands. The walking areas include plenty of cozy cafes and restaurants that offer a variety of culinary experiences. 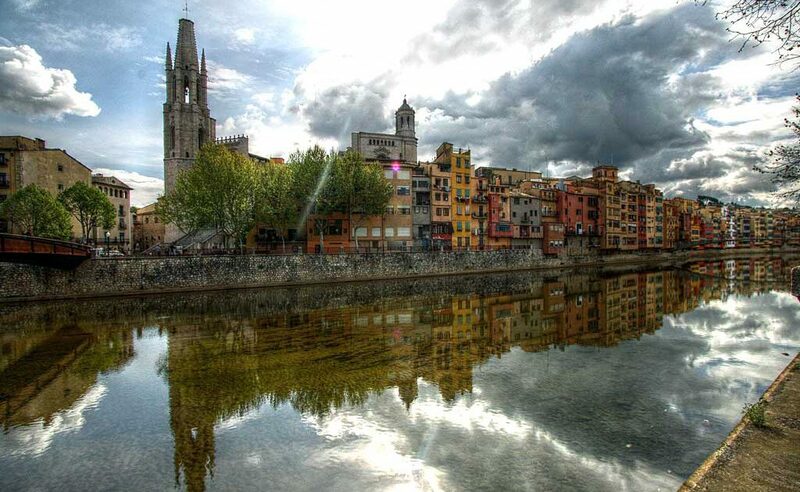 Girona is also well known for its cultural life. As well as a number of museums, the city has the most important autumn festival in Spain, “Temporada Alta”, offering three months of avant-garde international music, dance and theatre. In addition, several jazz, classical, rock, flamenco, traditional and world music concerts are programmed during all the year. Furthermore, the relatively small size of the city and its urban structure means all these activities can be enjoyed without having to take the car. Girona is well known to professional and amateur golfers. 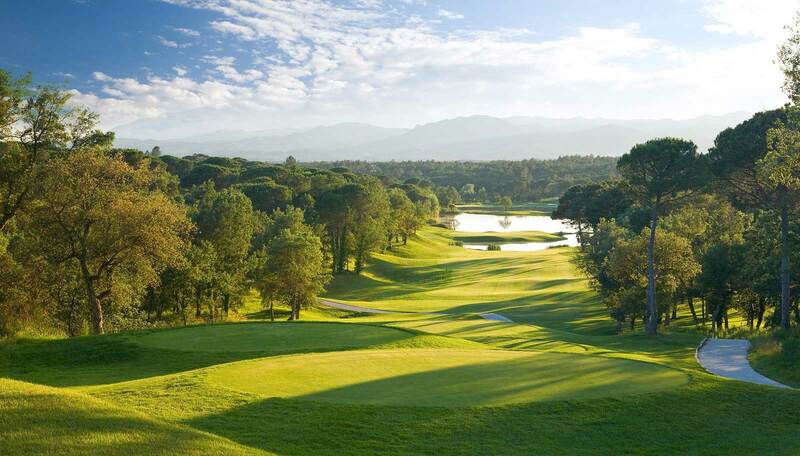 Only 22 kilometres from the city is the PGA Catalunya Resort, which since its opening in 1999 has quickly gained an impeccable international reputation and is currently ranked 2nd in Spain, 3rd in continental Europe and, most recently, among the 100 best golf courses in the world. As well, there are a further eight high-quality 18-hole golf courses available less than one hour’s drive from the property. 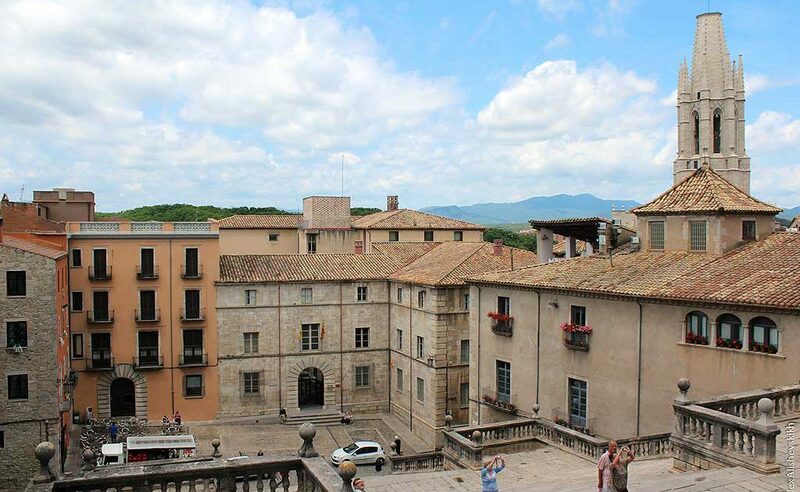 Girona is also a world famous destination for professional and amateur road cyclists. Only a few minutes from Alemanys 5 there is a vast forest with hundreds of signposted off-road mountain-bike routes which can take you all the way to the coast. *JAN FRODENO & OAKLEY (Some scenes recorded at Alemanys 5). * First scenes of this video where recorded at Alemanys 5. Less than one hour’s drive from the house you can reach the famous Costa Brava coastal region, with plenty of beaches and sailing ports, still offering some “hidden gems” for visitors who seek them out. Small villages like Cadaqués or Begur have attracted artists such as Salvador Dalí, Joan Miró and Pablo Picasso and still inspire many contemporary artists. Between Girona and the Costa Brava is the Empordà, a region of countryside, with plenty of small charming mediaeval villages, as well as wheat and sunflower fields that bloom with poppies in spring, creating one of the most beautiful landscapes of Spain. 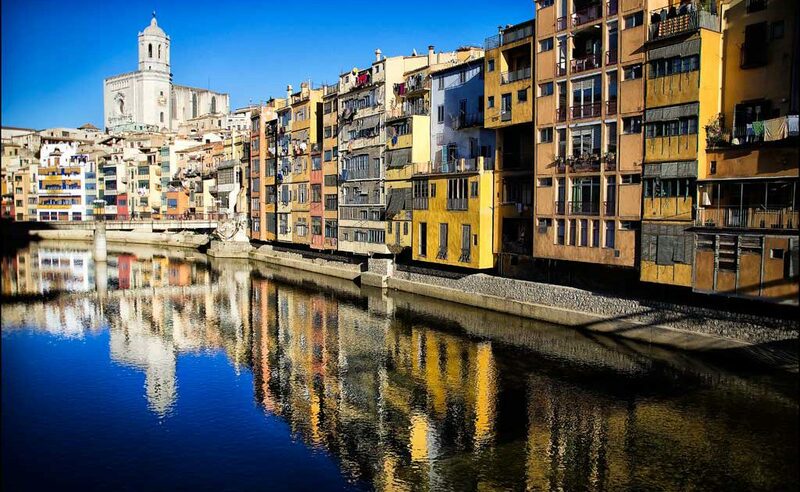 Girona is also a renowned culinary destination. Home of exquisite mar i muntanya recipes —meaning literally a mixture of “sea and mountain”—, the city hosts “El Celler de Can Roca” ranked two times as the FIRST best restaurant in the world but you can find plenty of small great restaurants at walking distance from the property and some other 14 restaurants with Michelin stars in the province of Girona, that also hosted the world famous “El Bulli” (currently closed to re-open as “El Bulli Foundation”). During wintertime, a good option is to take advantage of the Pyrenees ski resorts that can be reached by car in less than two hours. 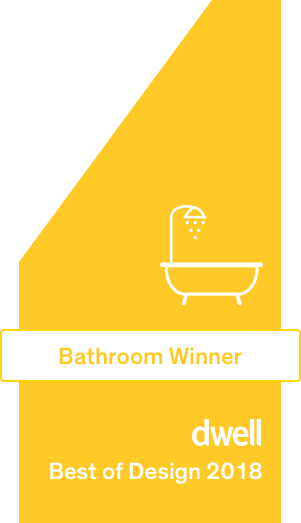 The Girona area is also renowned as a wellness and spa destination, offering top quality thermal baths, spa and wellness centres. Last but not least, the city of Barcelona is only at one-hour away by road or train from Girona.